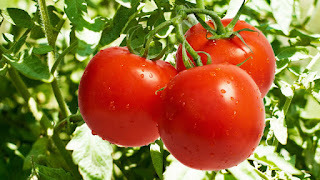 A wholesale basket containing hundreds of tomatoes now sells for 42,000 naira ($212, 186 euros), up from 300 to 1,500 naira before the outbreak, he added. Tomato prices in Nigeria have been steadily climbing for months, caused by unrest in northern and central states where the crop is grown and this has affected farmers’ ability to plant and harvest. Fuel price increases and a fall in imports due to a foreign exchange shortage have contributed to the scarcity and now a major crop infestation has worsened the already bleak tomato outlook. Tomatoes are an essential ingredient for many Nigerian dishes, from fiery pepper soups and stews, and even to garnish suya, the popular spicy grilled meat sold at roadside stalls across Nigeria. The effect of price rises and shortages are adding further hardship to Nigerians already struggling with a lack of fuel for cars and generators, power outages, and spiralling inflation. The culprit is a moth called Tuta absoluta, which has destroyed crops in the northern Kaduna State, forcing the local government councils to declare a state of emergency. “It is a serious problem. The disease has affected production and consumption, prices are continuing to rise and there is no availability,” Shehu Sani, Senator for Kaduna Central, told CNN. The area, which contributes strongly to Nigeria’s overall production, has already seen losses of millions of dollars, according to Sani. “Many depend on tomato farming for their livelihood and tomatoes are an indispensable part of the diet. People cannot do without them,” he said. Kaduna’s government has sent a team to Kenya to find a remedy against the moth, which lays eggs on tomato plants and develops into a hungry caterpillar that feeds on leaves, stems and fruit.